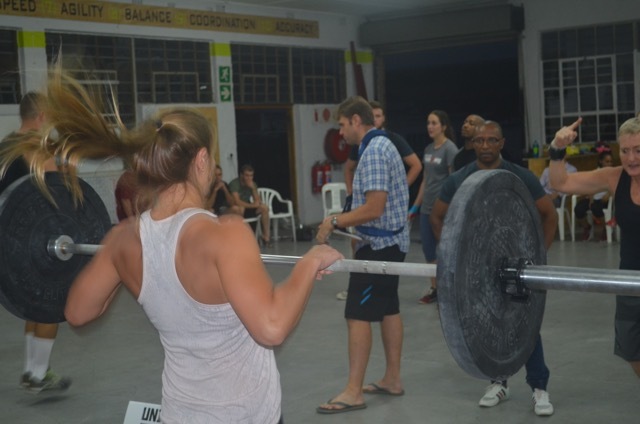 Crossfit PMB is the original CrossFit gym in Pietermaritzburg. With a mission to bring a new level of health and fitness to Pietermaritzburg we are here to provide you with a community of likeminded people and a professional coaching team to help you reach your health and fitness goals! The best way to decide if CrossFit is for you is to come in and try it. We are so sure that you will be so hooked by the intensity, variety, and community that you will never want to leave. In an attempt to prove that to you, we will give you your first class free. Contact us to set up a day that works for you to come in and try it out. Our Fundamentals Course is here to equip you with a basic know how to performing CrossFit movements and to give you an understanding of how a CrossFit class is structured. A specialized coach will guide you through the program with a level of Intensity which is specific to you. Our Fundamentals Course consists of two, one hour sessions, which are held every Monday and Wednesday from 18:00 to 19:00. On completion of your Fundamentals Course you will be ready and confident enough to jump into the regular CrossFit group classes. The Fundamentals Course will also give our coaches the required knowledge of you as an athlete to provide specific intensity and scaling to you when joining the group classes. Now that you have completed the Fundamentals Course, you will have the confidence, knowledge, strength, and endurance to take your training to the next level. It is in the group classes that you can really turn up the intensity on your training. It is the intensity and competition of the workouts that make them so appealing to everyone, and the way we achieve greatness. Remember that we are all here to motivate you and watch you succeed, not just your trainers, but also the other members. Feel free to encourage everyone in the gym to push a little harder and give a little more. Crossfit has changed my life completely from that of an unassumingly unhealthy one, to that of an active, fit and happily healthy one. With the help of our WORLD CLASS coaches and the box’s awesome spirit and camaraderie I have quit smoking and drinking and done things with my body I never thought possible. I have never looked forward to any daily activity as much as I do when the clock strikes 6pm and I get to see all the people who have become good friends and even better motivators! Thank you crossfit pmb for forever changing my life and more importantly thank you to Tian and Keaton for leading the way and pushing us to be better athletes. You guys are the best coaches my fiancé has ever had and that’s a quote and you’re both the reasons for her finding her passion for crossfit again and ,in turn, her happiness which makes me happy. I am a member of Crossfit PMB and what a life-changer it is. Your gender, size, shape and age don’t matter. What matters is your heart; to try something out of the box in the box. The most magical part of CrossFit PMB is that it’s a community where you’ll fit in immediately. Due to our magnificent coaches, Keaton ‘hugger’ Edwards, Tian ‘the muscle’ van der Walt, and Chantal ‘serge’ Strydom, we have a friendly and welcoming band of dedicated CrossFitters. These folk are always awesome, REALLY amped about exercise, and we all share this passion. None of us liked gym before. Anytime you bring a crew of people together to work ridiculously hard, good things tend to happen. It’s why my ‘box’ mates are so tight-knit; because doing tough sh*t brings people together. SO…CrossFit brings people together. This is SO great. But more than this, Crossfit changes your life, your body, your confidence, your knowledge, your spirit, and makes you love exercising and brings along great new friends. Go figure. Crossfit Pmb teaches you that you are stronger than you think you are. You can develop in so many ways, not just physically but also mentally. The community is amazing, fantastic support and encouragement no matter what level you are on.